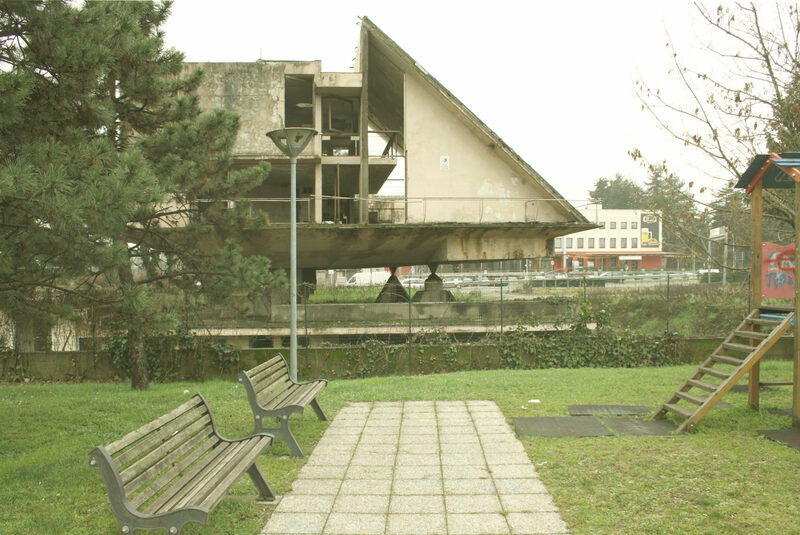 The rise and fall of Northern Italy’s suburbia from the perspective of a modernist masterpiece. Driving a Lancia, living in a ‘Renzo Piano’. 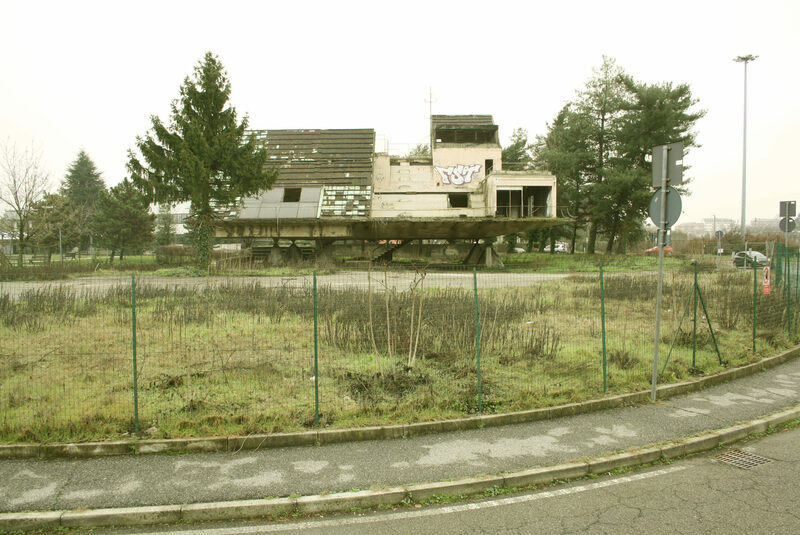 The broken dreams of northern Italy’s suburbia. Legnano, January 2016: Villa Clerici, an elaborate architectural folie from the late sixties and a masterpiece of local architect Carlo Moretti, once stood proudly along the highway leading to the regional capital. It has now been abandoned for more than four decades. Deserted by the heirs of its first inhabitants, today it cuts an obscure presence in the twilight landscape, sharply contrasting with the glittering lights of the nearby mall, multiplex and the hectic traffic on the surrounding flyovers. 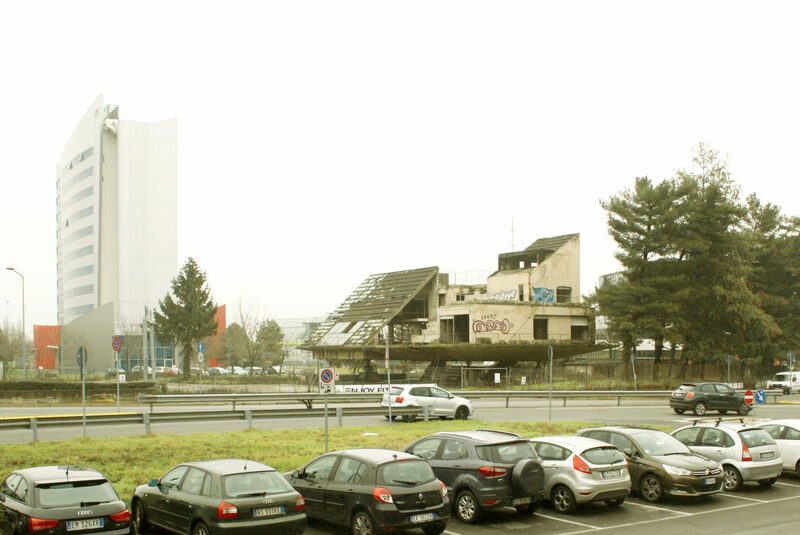 At the same time, in Cusago, a huge public outcry greeted the controversial decision to pull down one of the surviving detached houses designed in the seventies by world famous architect Renzo Piano – the last Italian winner of the Pritzker Prize – to make space for some generic residential development. 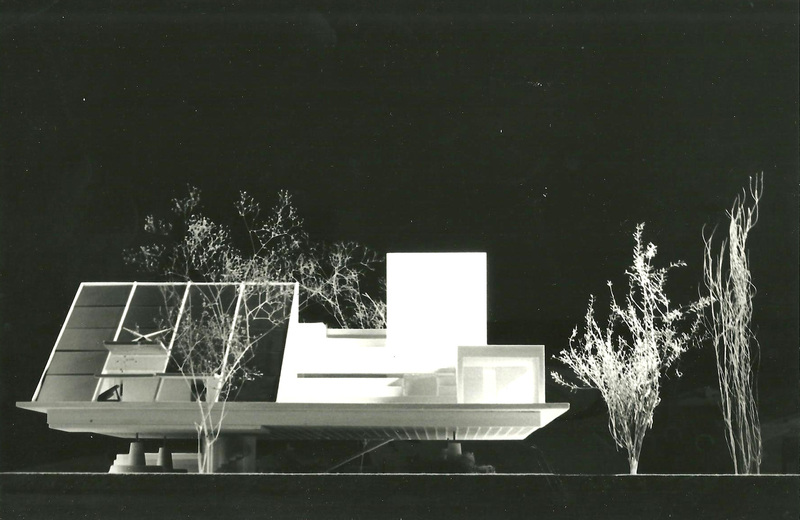 But the oblivion threatening Moretti’s villa and Piano’s house is just the tip of the iceberg of a widespread phenomenon which is reshaping the suburban landscape of northern Italy. From the turn of the millennium to the economic crisis of 2008, a cycle of development has come to an end. It started in the early fifties, right after the end of post-war reconstruction, running alongside the fluctuating fortunes of a wealthy, cultivated middle-class of professionals and entrepreneurs, who fled what were then dilapidated city centres to settle in the near countryside. 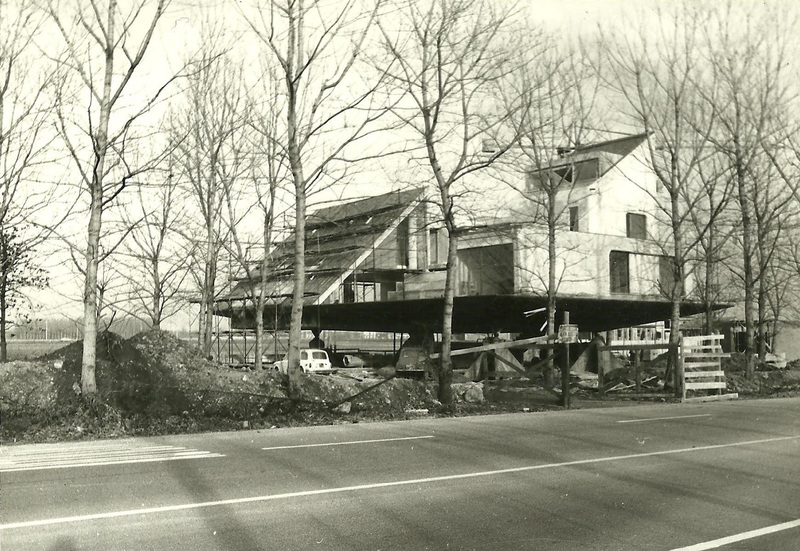 It was in the same years that Levittown was constructed in the United States. Its conceptual father, William Levitt, claimed it was ‘providing families with the domestic component of the American Dream, just as General Motors provided them with the vehicular one’. While the Italian bourgeoisie preferred sporty Alfa Romeo and luxurious Lancia to copy-pasted Chevy, Pontiac and Oldsmobile, so too they yearned for a house of the same exclusiveness and peculiarity. 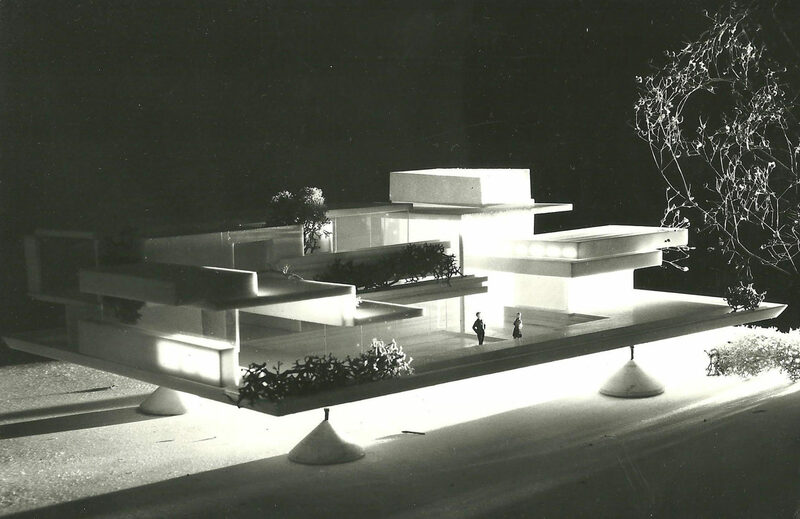 Hence, contrary to what happened in Levittown, the new part of the city which was being born in Italy ‘expressed an assortment of individual desires more than new physical configurations, a sort of large urban continuum made unit by unit’. As the authors of X Milano highlighted in 2006, in the absence of a large-scale coordinated planning framework, ‘homologation (…) was paradoxically produced by the crowd of individual actions, and the frantic search for distinctiveness’. In other words, as all the villetried to be unique, in the end none of them stood out. At the same time, this urban landscape absorbed other deeply rooted elements of local culture: under the influence of the Catholic church a house would primarily be conceived as a safe and permanent nest to enable the traditional family to flourish. Moreover, the most significant events in contemporary Italian history would progressively redefine the ambitions and fears of suburbia, with the troublesome age of terrorism and protest taking over the naïve optimism of the post-war years and several economic crises systematically challenging the very survival of its inhabitants. Today, as more and more residential buildings lie abandoned all through the Po Valley, their half-empty shells slowly consumed by time and negligence, a curious question arises: what has happened to these old suburban houses of northern Italy? And what is the possible future, if any, of such a rich and widespread heritage? From villa to viletta. Because size matters. Or, does it? From the age of the Romans, the villa has always been interpreted as an emanation of the city itself, an effective stress management device capable of balancing its vices and excesses. 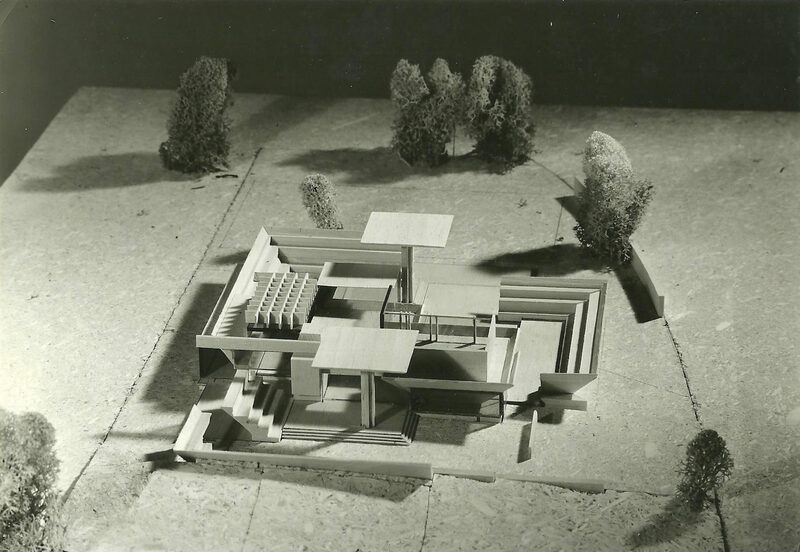 In the suburbs of the second half of the 20th century, the villa is conceived as a ‘satellite’: it is at the villa that its inhabitants can experiment freely with their interpretation of the modern way of living, based on a well-balanced mix of the traditional dichotomy of otium vs negotia. Ville moderne in pianura, a somehow naïf manual from 1968, describes the state-of-the-art villa as ‘comfortable and rational, close enough to the city centre, where its owner runs his business but yet quite rural as to allow a complete isolation from what the city entails in terms of traffic, noise, pollution, etcetera’. The fence of each modernist villa encloses not only the actual building but also a complementary natural element for the family’s private use. This landscape in vitro balances the loss of an authentic relationship to the rural surroundings, which Roman and Palladian ville could proudly claim. It furthermore cuts off all links to the outside world allowing the villato function as a totally secluded island of peace and commodity. Thanks to their illusory isolation, throughout history the ville have often been regarded as a blank canvas to experiment with original architectural languages, which rejected the predominant style of the cities of their time. This was carried out by either trying to reproduce styles from the past or creating one ex-novo: the ville of antiquity informed the shape of their heirs during the Renaissance, while British architects of the 17th century were highly fond of the Palladian style. In the post-war period most of the middle class of northern Italy looked straightforwardly towards the future and refused to be ‘contaminated’ by tradition. The best experimental designs by Franco Albini, Ignazio Gardella, Carlo Scarpa and Gianni Avon were inspired by the strong need for individual representation of these stubbornly progressive self-made men. This state of things was bound not to last. Starting from the early seventies, as migration flows from the city to its suburbs increased steadily, the need for a mass production of single-family houses emerged. 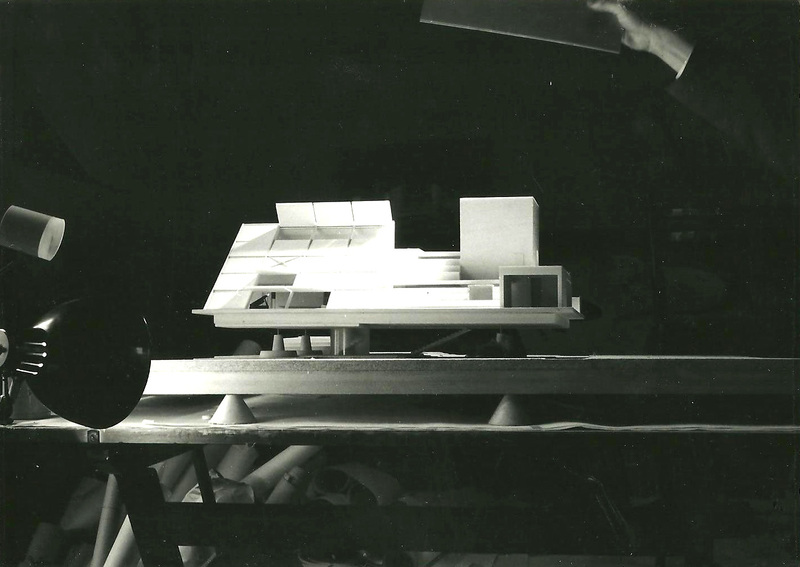 Architects were ready to give up quality and exclusiveness in favour of quantity and repetition: the so-called villetta was born, accompanied by an update of its owners’ lifestyle. 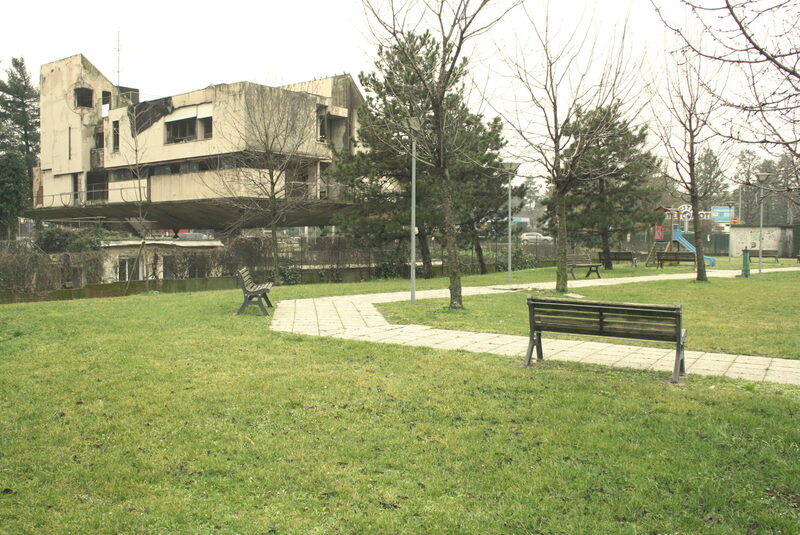 In the words of Luigi Trentin, ‘the cult of the villetta included the search for an isolated enclave, private property at all costs, dramatic reduction of adjacent spaces and full exploitation of all available lots outside the city centres. The exploding real estate industry and its strict rules were leading the process’. 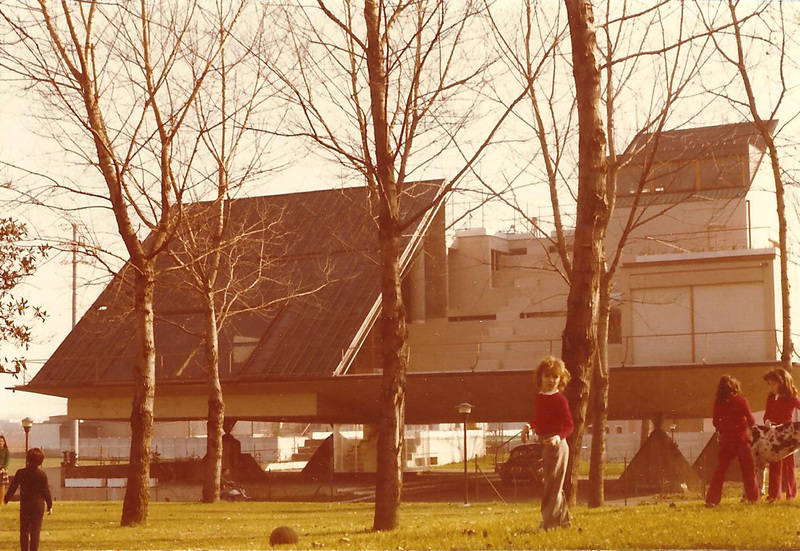 A juxtaposition between the city and the suburban house was no longer possible: the villette turned into crumbs of suburbia that got rapidly swallowed by their bulimic, urban counterpart. This evolution was not only about sizes: as everybody was rushing to build as much as they could, the polished architectural language of modernism was rapidly taken over by the most lavish and extravagant postmodern fantasies. Rem Koolhaas, in an infamous essay from 1995, goes straight to the point: ‘the style of choice (of suburbia) is postmodern, and will always remain so’. Each chapter of this short architectural story resulted in rapid obsolesce, and frequent abandonment, of the previous story’s main characters. By the early seventies, the modernist ville were already out-dated both in their style and dimensions, while the villette, with their sadly vintage aesthetics, have now become synonymous with an excessively standardised mode of living. Padania is not Detroit. The possible futures of the forgotten spaceships of the Po Valley. As evocative and somehow sublime as this portrait can be, it nonetheless ends up betraying the reality of things. Padania is not Detroit, at least not yet. It is still not close to emulating the empty houses of that post-apocalyptic landscape. Consequently, instead of accepting the rapid consumption of its built stock of single-family houses, an argument could be made for its possible role in the near future. Yet this is a tough topic to approach. In addition to being scattered through a vast territory, this heritage is extremely composite and multifaceted, which makes its value even more difficult to recognise in its totality. Moreover, the architectural scale can by no means be disconnected from a reflection on the landscape it has colonised and produced. On a morphological level, the reading of maps clearly shows that large parts of the territory have been fenced-off to serve as secluded open-air playgrounds for private homes. Moreover, the landscape produced by this spontaneous accumulation of architectural objects has paradoxically taken on a collective value, as the most relevant representation of half a century of social, economical and cultural development – and decline. Thus, the importance of this huge amount of isolated buildings is not diminished but rather amplified by referring to its larger context. Architects and urban designers are faced with a tantalising challenge. Whether they read this heritage as the remnants of a former Virgilian paradise, now exploded into countless hidden oases, as an embryonic city than was never actually born, or else recognise this hybrid condition as its main potential, tailor-made strategies are required. These should prevent both its total disappearance and the risk of a possible ‘museification’, mimicking the current condition of many so-called historical centres in the Western world. A contemporary, anti-ideological approach is desirable which gives up the traditional qualitative distinctions between high and low architecture and deals more with a global vision of suburbia as a cultural document. For the moment, as the last echoes of Milano’s Universal Exhibition of 2015 are disappearing and life in Padania is getting back to normal, everything seems to stand still and the former bourgeoisie’s oversized, obsolete, often ostentatious dream vessels fade into the spring mists, which protect them as a precious evidence of a long-gone past. These UFOs of enigmatic beauty are the forgotten spaceships of the Po Valley. Architect and curator. He has participated to many architecture publications and has written for Abitare, Alla Carta, Icon Design, Platform. He is a regular contributor to online platforms such as Aformal Academy, Artribune, Gizmoweb. He is co-curator, with Luca Molinari, of SpazioFMG, an architecture gallery in Milano. He is co-founder with Francesca Coden, Margherita Locatelli ed Emanuele Romani of the architectural practice Oblò – officina di architettura.